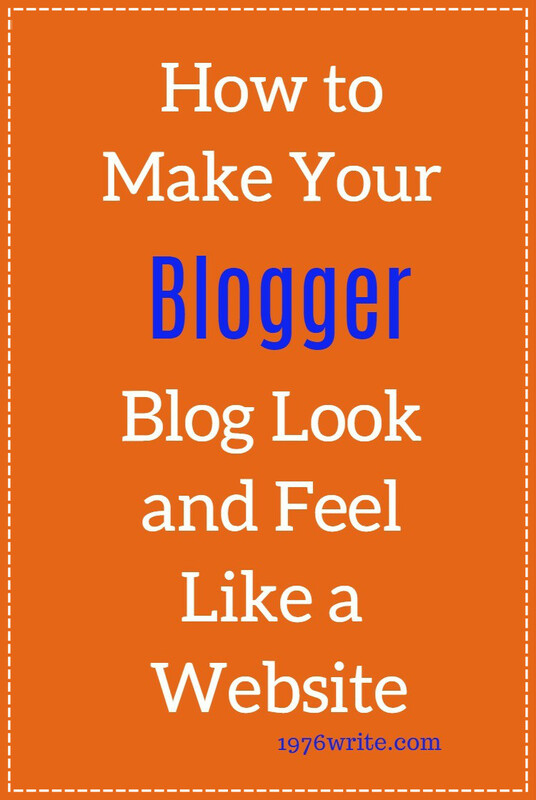 Is your Blogger blog too much like a blog? I'm going to show you how to unblogger your blog. If you've just created a new blog and not sure where to take it or what to include on your blog I'm going to show you some basics widgets and pages your blog will need to start you on your blogging journey. I'm going to show you how to simply add a sitemap to Google Webmaster Tools and show you why it's an important part of blogging. It's a free tool offered by Google to help you display your blog in Google's search results. It will help you improve the crawling rate of your blog. 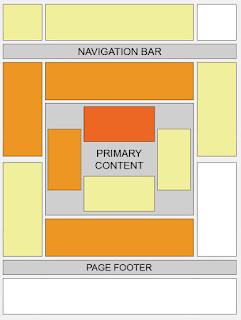 A sitemap can be an XML or HTML file containing all of the URLs of the pages inside your blog. Visitor's to your blog are helped by an HTML sitemap, the same can be said of an XML sitemap. When you submit your XML website sitemap to Google Webmasters, Google crawlers will start to index all of your blog posts and pages and add them to their database. Depending on the size of your website and number of URLs in your sitemap, the crawling rate will differ. Now that you understand what a sitemap is let's get started verifying and submitting your sitemap. Sign into Google Webmaster Account. Select the blog you want to submit the sitemap for. On the left hand side of the page, click on Crawl and then Sitemap. Press "Submit Add/Test Sitemap" button. Note: The above sitemap will work for 500 blog posts only. If your blog contains more than 500 published posts then you need to add the code below. If you're just starting your blogging journey and everything is pretty new. You may have heard about Google Analytics. It's an important tool to help you keep an eye on the progress of your blog. If you're using Blogger you will have noticed the stats section on your Blogger dashboard. it's useful but doesn't give you the in-depth information you can get from Google Analytics. Used by thousands of bloggers everywhere, and one of the most popular programs for checking stats. It has many features that will give you an accurate breakdown of your blog traffic. Sign in or sign up for a Google account. If you use Blogger, Gmail or YouTube then you already have one. Log in to your Google Analytics account and you'll see a screen explaining Google Analytics. 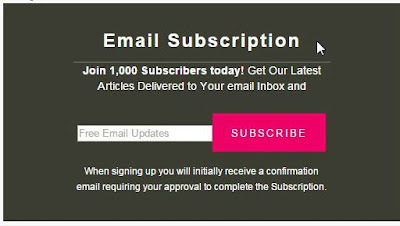 Click Sign up. Fill in the form. Don't worry about the industry category. This doesn't affect tracking and data collection, it just helps Google to adapt the service to you. Click, get your Tracking ID, accept Terms and Conditions. You'll find your Tracking ID in. 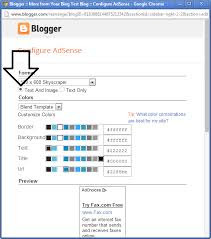 If you're using Blogger you can add your Tracking ID number (UA-00000000-0). Go to Settings > Other and enter your Tracking ID number to the last section called Analytics Web Property ID and save settings. It will take 24 hours for your data to show on your blog stats. If you're self-hosting WordPress, you can use a plugin to add your Tracking ID or add the Tracking Code directly to your theme's header.php file. These days just writing and posting a blog post aren't enough, your content needs to be shareable. Add "share buttons" and let your readers share your content across social media. Click on Floating Share Buttons. You have a choice between "vertical" and "horizontal" buttons. Highlight the code most suited to your blog. For any newbie starting a blog can feel like crossing a minefield. With so many things and improvements to be done. If you're main goal is to make money from your blog, then adding a Terms and Condition page should be top priority in building your website. Probably the least read pages of all blogs and websites. Most websites have a Terms Conditions page, even though it's not actually a legal requirement. Should you be taken to court, these pages can limit your liability and protect your rights to the content included in your website. The content of your Terms and Conditions will be unique to your particular website. You will find common themes throughout, despite your chosen category. This is a page you should look into especially if you're making money from your website. This is a disclaimer removing your liability from errors in web content. If you allow visitors to post content on your website you need language that limits your liability from any offensive postings. A disclaimers that you don't endorse users and aren't responsible for the statements made by third parties. A lawyer can create or review your Terms and Conditions, making sure they cover your specific needs. If you want a more professional looking blog, buy a domain name. You can go from blogspot to dot com with ease. Add a custom header: Find it on your layout page. Click on the header box and add your own image. Add a custom background: Find template. click on customise and choose your template. Add custom details: Find template, click on customise and change the elements of your blog. 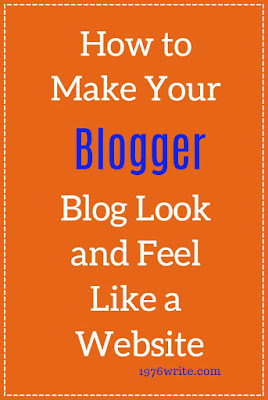 With Blogger you can add up to 20 standalone pages. These pages will show up under your blog header as tabs. Go to the pages section to add and create your pages. Go to layout to drag the pages box under header. This will make the pages show up as tabs under your header. Add a contact form in your layout. Find the blog ID at the top of the page as shown below. Remember to switch to HTML mode to do this. var blogId = '8694494030520005341';//this number should be mandatorily edited. Go to layout; Click on add gadget; Select Adsense. You have a choice as to which format, colour you want. I recommend blend or matching your Blogger template. On my blog I have two ways of attracting subscription's for my readers. 3. How to Change the "No Comments" to just "Comments"
The "No Comments" on Blogger isn't the best caption. It leaves people thinking the author of the blog doesn't want any comments left. So how do you replace "No Comments" to just "Comments"? Replace it with your chosen caption. In my case "Comments"
Also don't forget to backup your template before you make any changes. Wrong! In the early days, yes, it was the forerunner but these days it can be used as an excellent tool to create a full-blown website. I have no hesitation in using Blogger to create a website. For web designers its an excellent Content Management System tool, but unlike Wordpress its free with no hosting costs and a free sub-domain name given. No fees fees for using plugins or connecting to your custom domain name. Before I give too much away here are the 9 reasons why Blogger is the best for creating websites. No hosting cost involved, ad free, free sub-domain provided, making it cheaper than everyone else. You receive yourwebsite.blogspot.com which is okay if you're interested in running your website as more of hobby. You can purchase a domain name through Google Domains, or use a hosting company such Hostgator or Bluehost. Your old .blogspot address will automatically redirect to your new domain name, with all of your website being displayed under your new name. Domain names are usually quite reasonably priced and can be purchased for as low as $5 for an annual .com license, webhosting can range anywhere between $50 to $500 a year, depending upon the amount of space, security and other features you require. Blogger has no hosting costs. Sounds to good to be true. People used to be put off at the lack of support for PHP. That is no longer a problem, contact forms can easily be created and embedded using Cognito Forms to create and host your form. Gone are the days of a limited amount of static pages. How is all of this possible? Part of the huge Google family, you're always guaranteed a quality and dependable service. With blogger you also need a Google account which gives you access to Google Drive, Youtube, Google and so much more. You can easily label your blog posts with keywords, insert a description while your indexing your website. Because it's a Google owned product your well coded and hosted, giving you excellent performance and speed. Other useful tools that work hand-in-hand are Google Analytics, Google Adsense and Google Webmaster tools. You upload your sitemap within seconds while getting basic data about your website. When I first started blogging it was my first blogging platform, after using Wordpress I came back to Blogger because I knew how easy was to set up. For any first time blogger I would always recommend Blogger, as a really good testing ground for a new blog. You can access a wide selection of templates within Blogger but also find plenty of templates free online. With an easy-to-use dashboard you can easily drag and drop default sections and move around widgets to suit your customisation needs.